What a cool time it is to be a customer today. The level of competition is crazy, so merchants are at pains to provide the clientele with the best products and service possible to win their loyalty. But when it comes to ecommerce businesses, it all gets even more challenging. Apart from optimizing the product assortment and enhancing customer service, they have to ensure the best user experience, if they want their customers to complete the purchase. User experience has a direct impact on the website conversion. A research by Forrester showed that a seamless UX can boost conversions by up to 400%. Thus, the importance of a UX for ecommerce websites cannot be underestimated. 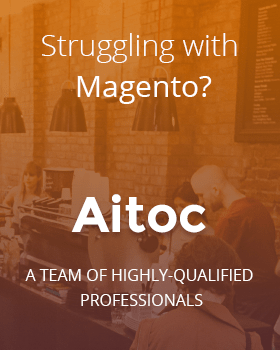 Having worked in the Magento development years for over 10 years, Aitoc has gained an in-depth understanding of how to create a great UX for Magento stores. In this article, we share some best UX practices for ecommerce stores, with a special focus on those using Magento. If you offer a large number of items, a drop-down menu that features everything can confuse customers. We suggest opting for a top menu with up to 7 choices on the homepage. When a visitor clicks on a top navigation item, he or she should be redirected to a menu page that lists all the available product options within the given category. This will allow your customers to instantly identify the category they are interested in while keeping the navigation menu clean and neat. Optimized site search has a positive effect on the overall site usage, also improving conversion rates and contributing to customer satisfaction. So make it easy for customers to find what they are looking for by enabling a search bar throughout all the website pages and implementing the search autocomplete functionality to display possible product options based on what a user types in. Filtering is a highly important feature as it helps customers narrow down their choices and so find the required item quicker. Revise your products and divide them into simple categories for filtering depending on their type. For instance, for clothes you can use size, color, occasion, brand, price range, discounts, etc. As for sorting, it’s always a good idea to let your customers put the products in the order that is more convenient for them. Prices from low to high, customer ratings are some of the examples here. The above-mentioned elements will provide your visitors with a clear picture of a) who you are, and b) what they can get from you. At the same time, won’t overburden them with information. Of course, jumping from page to page may be entertaining when you browse something just for fun. Otherwise, the less clicks customers have to make to complete their journey, the better for the overall UX and your sales. This is especially relevant to the checkout process – if tangled and complex, it just won’t lead to a finalized purchase. You might even consider implementing a one-page checkout in Magento to make it the easier for a customer to complete the transaction. By displaying similar or alternative products you save your customers’ time spent on searching those on their own. It won’t guarantee a purchase, but will definitely provide a better user experience. Every merchant strives to get as many leads as possible to their database. However, customers don’t get excited when they have to sign in, especially if the process involves filling in a dozen of fields and answering questions like “What’s the name of your first pet?” Allowing visitors to sign in (and later log in) using their social media accounts, you turn a boring process into a one-click operation that can be carried out within a few seconds. Video marketing is booming as it provides a great way to enhance customer experience and explore your products. The latest research discovered that a brand video was a deciding purchasing factor for 81% of customers this year! So if you decided to use video content on your website, you are on the right track. Just keep in mind that the quality matters, so it’s important to share well-produced and stable footage that is interesting and useful to your audience. With all the enticing offers and opportunities available, it gets a lot harder to surprise and allure online consumers. Gamification is a great way to provide a different, memorable experience to users. It can motivate visitors to start interacting with your website in the first place, as well as hang out there regularly and, of course, shop. You don’t have to launch a high-class game that features complex mechanics and heavy graphics. Its implementation will require considerable efforts, and if done poorly, will only hamper the website’s UX. Rather than doing that, employ simple daily challenges, rewarding programs, badges, and other tools that are accessible and clear to anyone visiting your store. Ensuring excellent user experience is the top priority for online retailers. With so many factors to take into consideration and ever-evolving market needs and technology, one can spend years experimenting with the UX design of a web store. Every business is unique and so there is no silver bullet for designing a perfect Magento user experience. 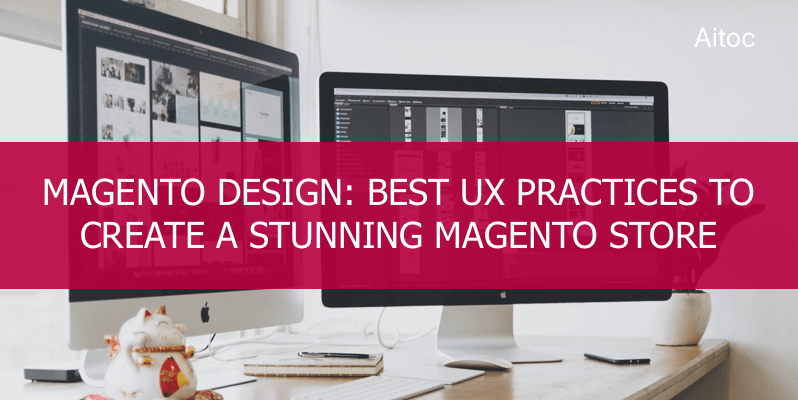 The practices we shared in this article are our observations that help us deliver great Magento UX for clients. We hope you’ll find them useful too.